I am once again back at Wat Buddha Dhamma after about six weeks travels and teaching in S.E. Asia. Although I was only away for six weeks, somehow it felt like a much longer journey, probably because it involved quite a number of activities in a range of different places. My fist stop was Kuala Lumpur where a group of supporters of the Forest Tradition had organized a commemoration of Ajahn Chah's 100 years birth. Close to 1,000 people gathered over two days to make offerings to the Sangha and listen to Dhamma talks from 15 of the senior disciples of Ajahn Chah. It was very interesting to listen to a wide range of personal experiences and perspectives on Ajahn Chah himself and his particular teaching style. 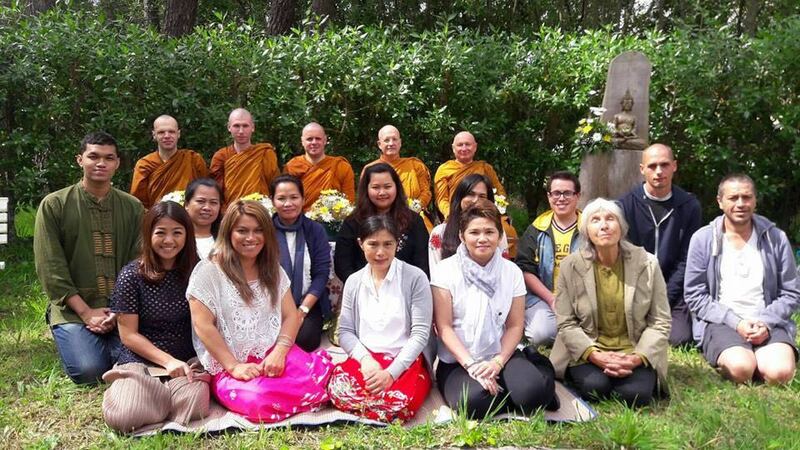 Some of the speakers had lived with Ajahn Chah for a number of years, some had met him in the last years of his teaching, some had experienced Ajahn Chah when he was bed-ridden, while others benefited from the standard of training and teaching which were his long-enduring legacy. I then travelled on to Thailand where I gave one talk at Ban Aree in Bangkok before travelling to Wat Nanachat, and then on to Wat Poo Jom Gom where I have been previously spending the northern winters. This year, however, I was escaping from the Australian summer, although the temperatures were not all that different. Once again I had some three weeks of quiet retreat in the Nibbana Cave near the top of Jom Gom 'mountain'. Fortunately, this year there were no fires for me to attempt to extinguish, except on the second last day of my stay. The air was therefore exceptionally clean, and the night sky brilliantly clear for some early-morning star-gazing meditations. The muddy Mae Khong River with Laos in the background. Unfortunately, the time passed rather quickly and I soon resumed my travels. My first stop was back to Wat Nanachat for the LP Chah commemoration ceremony on January 16th. Many thousands of people camped out at Wat Pah Pong for the five days of Dhamma practice listening to teaching, chanting and meditating. A number of the senior western monks were called upon to give Dhamma talks, including Ajahn Viradhammo at nearly mid-night. My next stop was Bangkok for a number of Dhamma talks and a medical check-up, then on to Singapore for a short, but busy teaching schedule. There is no Ajahn Chah branch monastery in Singapore, however, the Buddha Dhamma Foundation is very active in inviting various teachers to give teachings at a number of venues. I gave one talk at The Buddhist Library and one at Nibbana Dhamma Rakkha centre, as well as a two-day non-residential retreat at Wat Thai Palelai, where I was also welcomed to reside for my stay in Singapore. Members of The Buddha Dhamma Foundation were exceptionally hospitable and generous, and are always appreciative of the Dhamma teachings they receive. While listening to the Dhamma talks by various senior monks in Malaysia, I was considering what aspect of Ajahn Chah's teaching impressed me the most. My conclusion was that it was the teaching on 'letting go'. Most of Theravada teaching emphasises the getting, increasing or development of spiritual qualities, for example, the cultivation of the Eightfold Path, gaining skill in practising Calm and Insight meditation, etc. All this, of course, has its place in spiritual practice, however, unless it is supporting the letting go of grasping of self, this practice is really missing the whole point of the spiritual path. Ajahn Chah was, of course, mostly teaching monastics, many of whom had already spend time developing spiritual qualities, sometimes to greatly advanced levels. However, what is often missing in most teachings is the complete letting go of all development and attainments, which is the ultimate purpose of spiritual practice. While reflecting on Ajahn Chah's teaching I then realized that, in essence, letting go is the simplest of all spiritual practices. However, it is by no means the easiest practice, primarily because of self's all-encompassing influence. It then occurred to me that the teaching of letting go needed to be presented within the wider context of the Buddha's teaching. I presented this context in a talk I gave at BIA, Suan Moke, Bangkok as 'The Direct Way to Awakening'. This 'Direct Way to Awakening' is relinquishing, renouncing, letting go of self-centredness in order to realize Dhamma-centredness. This principle can be presented in a variety of forms such as surrender, renunciation, letting go, giving up, releasing, etc. On the surface this is not so fundamentally different from most of the major religions, for example, the theistic religions direct a follower from self-centredness to God-centredness. However, where the Buddha differs is in pointing to the ultimate renouncing of even the renouncer. This, of course, can be paradoxical – how can the renouncer renounce him/herself? The way out of this is to engage in spiritual practices which facilitate renunciation. For example, the practices of Generosity, Morality and Meditation, if done correctly, undermine the nature of self-centredness. While self-centredness is supported by accumulation of 'my' possessions, the practice of Generosity is the giving up of accumulations; self-centredness is supported by following my own habits and actions, while morality is surrendering my preferences to a non-personal standard of morality. Meditation is observing clearly the insubstantial nature of this sense of self we centre our energies around to awaken to the ultimate reality of Dhamma-centredness. The progressive development of increasing Dhamma-centredness has practical applications in all aspects of life. While, of course, we need to be sensitive to self's demands to some degree, when does self's needs become self-serving greeds? Spending all of our energy feeding self's demands is merely feeding an ultimately false reality, which ends only in disappointment, since all aspects of self's domain eventually dissolve and fade away. Whereas energizing Dhamma-centredness is tuning in to reality, the way things really are, which ends in undying, since ultimately there is no self to die, only the reality of impermanence unfolding. One of the practical ways to enact this process is that rather than follow what 'I' want, try to follow what life requires. Today this can be quite challenging since 'I' have so many choices. However, if we open up this inquiry: 'What does life require? ', we may begin to see more rewarding and satisfying possibilities coming into focus. Gradually we come more and more to appreciate the universal and ultimately satisfying nature of Dhamma-centred reality. May the Dhamma increasingly infuse your life. The annual 'Rainy Season Retreat' has now passed and the time for travelling has arrived. The Retreat period in the southern hemisphere corresponds to winter which is a suitable time to spend more time 'retreating' from the inclement weather. However, winter here is quite different than that of northern Europe or North America. This year we had about 10 days of light frost with temperatures not below -3C. The cold means that the skies are clear, so as soon as day breaks the sun is shining and the mid-day temperatures have climbed to 12-15C. The hut I am staying in has a large wood stove so I did not suffer too much from the cold. And then, suddenly, it was Spring! I had never been in Australia in springtime so it was a delightful surprise to see such a profusion of blossoms amongst the bushes and grasses which I had previously experienced as only irritatingly prickly and scratchy. As the weeks progressed flowers and blossoms appeared and disappeared, sometimes virtually overnight. As I write this in early December the tiny blossoms of the tea trees are scattering in the breezes just as the eucalyptus trees are coming into bloom. Shortly before the Rains Retreat I made a trip north to attend the Vesak ceremony at Dhammagiri Monastery near Brisbane and visit my friends John and Hanna in northern NSW. Regular readers of this blog will recognize that both of these places were on my usual circuit of travels for the last few years, so it was once again a rewarding experience to meet up with old friends and familiar faces as I had not been there for two years. Here at Wat Buddha Dhamma the Rainy Season Retreat period is a time devoted to more intensive formal meditation. Work projects were set aside and the dedicated community was led in eight hours of daily sitting and walking practice by Ajahn Khemavaro. The steady and consistent routine, together with the exceptional natural quiet of the monastery, are very conducive to supporting the experience of deeper states of calm and clarity. It was also very conducive to focussed work on my book project on the theme of 'I-making', which provided me with some profound material for reflection. In order to satisfactorily explain 'I-making' it was necessary to delve more deeply into some of the more detailed aspects of the Buddha's teaching, such as the Five Groups of Grasping and Dependent Origination. On the one hand they required some 'brain work' to research the material in the Pali Canon, however, on the other hand, they are also an extremely rich source for meditative reflection. Following several hours of evening study my morning meditations were often inspired by some quite amazing insights. Even with my perseverance, however, I was not able to make the deadline for next year's book printing by the generous supporters in Malaysia. No worries! I feel much better about having the time and space to do a thorough job, and continue to have material for deeper reflection. In mid-December I will attend the 100 years birth of LP Chah ceremony in Kuala Lumpur, Malaysia, together with a dozen of the senior western monks from monasteries around the world. From there I will travel on to Thailand for five weeks, giving several talks, spending a few weeks at Poo Jom Gom and participate in the LP Chah ceremony in Ubon. I then return to Australia via Singapore, where I will give several talks and a weekend retreat. One of the themes from my studies which I continue to reflect upon is a discourse where the Buddha is quoted as saying that there are three ways to develop Calm and Insight meditation. That is, either develop Calm first followed by Insight, Insight first followed by Calm, or develop both Calm and Insight together. Just knowing this variety of approaches can help people to appreciate the wide range of techniques used by different meditation teachers. For example, some teachers give major precedence to Insight meditation while others emphasize the importance of Calm meditation. The main point to keep in mind, however, is that Buddhist meditation must encompass both Calm and Insight. This can also be a useful guide for our own personal practice. Some situations in life are more conducive to the development of Calm meditation while others may be more conducive to Insight meditation. For example, if you find yourself in a situation where your life is quite busy and hectic, then it may be more useful to use this occasion to reflect upon how and why you feel disturbed or loose your calm, collectedness, rather than trying desperately to calm yourself down against the flood of impressions. At other times, if you have a period of less pressure and more free time available, then setting aside a few days for more formal Calm meditation exercises could help establish a deeper level of collectedness as a foundation for daily life practice. My understanding of LP Chah's approach to meditation was that of developing Calm and Insight meditation together. His emphasis on the continuity of practice and adjusting practice to time and place very much support the careful and wise interweaving of Calm and Insight meditation as circumstances arise. In my own way I follow this approach with time for study a form of Insight meditation, while my meditations in the very quiet mornings are the practice of Calm meditation. In this way Insight infuses and supports Calm and Calm infuses and supports Insight. Hopefully your practice of Calm and Insight continues to increasingly develop. With Metta, and Blessings for a rewarding and beneficial New Year. A flowering waratah, the state flower of New South Wales, in front of a gamia lily. I arrived here in early March, escaping the hot season in Thailand, but arriving here during a cool, wet period. From daily highs of 35C we now had highs in the low 20s! I have described Wat Buddha Dhamma in earlier blogs, but for those unfamiliar with the place I will mention some practical details. It is the oldest Forest Monastery in Australia, founded in 1978 by Else Ledermann (later Ayya Khema) and Phra Khantipalo. It is situated approximately 2 hours' drive north of Sydney, deep inside a National Park (Dharug-Yengo) and accessed through a locked gate and a 15 km dirt road. It was originally purchased as a meditation centre, and as a monastery it is a very quiet place, with few visitors. The landscape is somewhat similar to that at Poo Jom Gom, an eroded sandstone plateau with numerous rocky outcrops and cliffs. The cliffs are also interspersed with various rocky-overhang 'caves', some of them quite spectacular with layers of golden sandstone, and some are honey-combed by erosion. The landscape, however, is much more forested and rugged than Poo Jom Gom. Ayya Khema's hut built over a large rock. As the address suggests, most of the 220 acres of the monastery property are situated in a 'hollow' or broad valley between the hills, extending up the slopes on the south and north sides. The sunny south slope is where the monk's hermitage is located, with six huts stacked up the rocky hill, two of them perched quite precariously amongst the rocks. The more shaded north slope has a habitable cave and an assortment of picturesque flora, and contains two steep, heavily-forested valleys with some massive trees. The western boundary cuts across the upper part of the valley and the eastern boundary is part of the Old Great North Road. Ten Mile Hollow Valley, looking west. The Great North Road originally ran from Sydney to near Newcastle in the Hunter River valley. It was constructed mainly by convict gangs between 1826 and 1836, but by the time it was nearing completion it had been superseded by coastal steamers. The Old Great North Road is a 43 km section which is preserved from north of Wisemans Ferry to Mount Manning. Closed to unauthorized motor vehicles, it has now become a walking and cycle track, with a camp ground at 10 Mile Hollow. The National Parks and Wildlife Service brochure states that the Old Great North Road 'features spectacular and beautifully preserved examples of convict-built stonework including buttresses, culverts, bridges and twelve meter￹￹-high retaining walls, some dating back to 1828.' Two kilometres from the monastery are the remains of the second oldest stone bridge on the Australian mainland, while near Wisemans Ferry is Devines Hill, where the road climbs the steep cliffs from the Hawkesbury river. This is where much of the 'spectacular … stonework' is located – quite an impressive feat, considering that the workers only had hand tools and were toiling in very harsh conditions. Besides the many kilometres of track on the Old Great North Road, there are a number of other tracks winding through the National Park as well as the access road to the monastery, which is also the access road to the power line towers stretching through the park. Otherwise much of the bush is not easily accessible except along the rocky outcrops. The Australian bush is not especially 'walker-friendly', with patches of dense undergrowth, wreathing vines and thick clumps of forest debris, not to mention the very prolific prickly, sharp and abrasive vegetation! The main reason I have decided to spent some extended time here (I have a two-year visa) is my usual pursuit of trying to find a place which allows a suitable balance between physical exercise, mental exercise and spiritual exercise. Of course, everyone has their own preferences for the right balance, depending upon temperament. However, for me at the present time, Wat Buddha Dhamma offers the best possibilities to maintain this balance. There is more than enough space and sunshine for physical exercise, I have solar-powered electricity in my hut for evening study and the quiet environment is very suitable for spiritual exercises. The only 'distraction' from my mental exercise, i.e. study and writing, is that with so much sunshine it is quite enticing to spend more time outside than propped in front of a computer or hunched over a book! I refer to these three types of exercise – physical exercise, mental exercise and spiritual exercise – because, as a shorthand method of reference, our sense of being is comprised of these three aspects, and unless spiritual practice infuses all three aspects it remains incomplete. In more detail, physical exercise is not simply muscle-building, endurance training or keeping in good physical shape. Rather, it is engaging with, studying and investigating the physicality of one's being. Keeping fit is one aspect, but it also includes studying the body and energy levels in different situations, developing increasing awareness of bodily sensations and investigating the constant changes inherent in physicality. Mental exercises involve both an emotional and an intellectual element. Thus this is not simply gathering information from books to increase knowledge, but also investigating moods and emotions, particularly those arising from social interaction. Spiritual exercises, of course, involve development of the various meditation practices suggested by the Buddha. My experience, simply explained, is that if these three aspects of our being are not engaged in a skilful and balanced way, disturbances in our being can arise. For example, I would say that if we do not engage with physicality in a skilful way, one of the dangers is developing an ungrounded, 'disembodied spirituality'. Not skilfully engaging with the emotional element can result in 'spiritual bypassing', while not engaging the intellectual element can lead to a free-floating type of spirituality. On the positive side, we can say simply that a healthy body supports a healthy mind. True 'healthiness', of course, includes an exceptional degree of awareness of body and mind, understanding body-mind energetics and knowing their psychosomatic inter-relationship. Skilful mental exercises give direction and support for spiritual exercises. For example, I often find that the themes I have been studying provide nourishment for deeper insight during meditation, often in unexpected ways, since meditation can access levels of mind which are beyond our usual self-referencing conceptual mind. This can sometimes be quite frustrating when I am trying to compose a book, because the insights can be hard to conceptualize. Perhaps needless to say, but the skilful development and careful balancing of these aspects of our being are what constitutes 'true' spiritual practice, similar to developing and balancing the Seven Factors of Awakening. Wishing you further development and wisdom. Greetings from Wat Poo Jom Gom, NE Thailand. As usual at this time of year; I have been spending much time in retreat mode in the quiet branch monastery of Wat Poo Jom Gom, close to the Mekong River. Most of the time I stay in a small cave near the top of the 'mountain', about 1 ½ hours walking distance from the main monastery complex. The principal benefits of residing here are the experiences of solitude and silence, and the possibility of spending much time in nature, either walking through the expansive national park or sitting quietly in a shady remote place. The simple, natural lifestyle makes for a very physical experience, helping to settle the mind into the present moment. The cave is a specially protected environment, warm in the cold and cool in the heat, sheltered from the strong sunlight, rain and wind. However, I spend most of my time outside, enjoying the fresh air and some degree of sunshine. The 'winter' in Thailand is known as the cold season and is also the dry season, usually with little or no rain from November until April. 'Cold' is, of course, relative here. When the temperature drops below 20C it is 'cold', mainly because the houses and clothing are designed for the normally hot weather during most of the year. The north-east of Thailand also experiences a cool northerly wind, giving a significant wind-chill factor (especially in thin and sparse clothing). The dry season is also the burning or 'fire season', when farmers burn off the remnants from various crops, rice stubble or the unused parts of the tapioca plants. Some of them, however, are maliciously lit in the National Park, either to clear off grassy meadows for cattle grazing, burn the leaf litter for mushroom gathering or force the bamboo to send out new edible shoots. This year the fire season began unusually early. Already in December fires were ignited in the meadows near to the monk's huts. In early January several fires were lit to the east of my cave. Fortunately, since I was nearby and saw them early, I was able to extinguish them before much damage was done, although one of them got into the grassy meadow and scorched a large area. Both times I had just finished making my evening hot drinks and showering before retiring to the meditation platform on the top of the outcrop. This provides a 360-degree panoramic view down the Mekong River and across to the mountains of Laos. Unfortunately, it also gives a bird's eye view of any fires burning for many miles around, and in the dry season there are usually many, so the view is often obscured by the low-lying smoke. Most of the fires burn slowly through the leaf litter, but once the fire gets into the tinder-dry grass of the meadows, there is little one can do, especially when it is fanned by gusting winds. For the fire in the meadow, the most I could do was scout downwind ahead of it (with smoke choking my lungs and stinging my eyes), and try to prevent it passing beyond the patches of rock which act as natural fire-breaks. Only where the flames were creeping against the wind or much reduced by sparse vegetation could I actively try to extinguish it. I soon discovered an effective method by patiently waiting for the wind to briefly die down or blow against the fire, then sweeping the flames towards the burned-out patches, or snuffing them out with my broom. I slowly worked my way along the periphery of the fire, painstakingly extinguishing every flame until I reached the furthest edge against the rocks. Then, with the last snuff of flame, it was suddenly totally dark! I stood there in silence and darkness for some minutes, until my eyes gradually adjusted to the faint starlight and I could see the expanse of the blackened meadow with the last few glowing embers scattered about. Fortunately, I had brought my headlamp with me from the cave, although it was a hundred meters across the meadow, safely placed on a large rock. A few stumbles and scratches later I recovered the lamp and made my way back to the cave. Shortly after I returned from the Ajahn Chah memorial ceremony and a brief trip to Bangkok, the burning season took a more serious turn, with someone setting multiple fires around the adjacent area. One of them I only saw by the orange glow through the trees as it was growing dark. In the darkness it was hard to determine precisely where it was, but upon closer inspection I saw that there was a whole series of fires burning up the side of the opposite mountain and down in a nearby valley where there was one of the unoccupied caves. Although it seemed far away and was already quite dark, I decided that I should investigate further. A short scramble straight down the rocky hillside soon saw me involved in a two-hour marathon extinguishing fires in five separate places, although I had to give up on the biggest and most dangerous one which was blazing through the bamboo between massive blocks of stone. After two hours I was so exhausted that I could barely drag myself back to my lodging at the main hall for a drink of water, a cleansing wash and much-needed sleep. I remained at my lodging in the main hall the next day to recover my strength. Then the following day, as I trekked back to my cave, I noticed a pall of smoke rising very near to my destination. By the time I arrived at my cave the adjacent forest was alight and streams of smoke were billowing across the plateau. I quickly extinguished the nearby fire, but then realised that it was spreading down the slope in all directions. Some three hours later, numb with exhaustion, hoarse from smoke inhalation and trembling from aching muscles, I crept back to my cave with just enough strength remaining for some drink, a wash and a long sleep. One of the benefits from living close to nature for some length of time is that our senses begin to wake up. Especially if we are living in a rugged natural environment, we need to be continuously alert – to the changing environmental conditions, to potential danger and to our own physical situation. The main benefit of this is that we abide in the present moment much more, even though it may not always be comfortable. Our senses interact with sense impressions immediately and more simplistically than the conceptual mind. Thus we can also notice more easily when we do get lost in conceptualizing. In contrast, when we live in a familiar domesticated environment our senses often go to sleep, since we do not need to use them so intensely. For example, towards the end of December, due initially to knee pain, I spent a few days staying in the guest hut beneath the sala. This was much more comfortable than staying in the cave, as I could close all the windows and be out of the cool wind in a consistently warm environment. I noticed, however, that with the reduction in physical sensation, as well as the sound of the wind, I was more often in my own head, with focus on thoughts rather than physical sensations. And many of those thoughts were concerned with plans for the future and memories of the past. When I wanted to know what time it was, I had to look at the clock rather than consult the direction of the sun or moon. The extreme, of course, is living in a busy city, where our senses often need to shut down due to being overwhelmed by stimulation. We are then forced even more to take refuge in our own minds, and when we find that unpleasant, to seek for distraction in amusement or entertainment. Living in the present moment with the impact of sense consciousness can be very peaceful and mentally quieting. There is just this present moment experience, with no need to think about or elaborate on it. Also, we can use this occasion to observe the effects of sense stimulation on our changing moods. Some impressions are pleasant and attractive, and we may notice a tendency to want to hold on to them. Or they may trigger off memories of previously pleasant impressions. Most sense impressions are fairly neutral and we notice that they do not excite interest or revulsion. Here at Poo Jom Gom much of the scenery is unthreateningly unusual: strange rock formations, unordinary vegetation, unique patterns in the rocks, gnarled and twisted trees, etc. This can create an unusual state of mind – open and curious, yet silent and calm. Why did the Buddha recommend a simple lifestyle as a skilful basis for spiritual practice? The basic principle is that we have limited mental energy, and whatever we focus on has a strong influence over our being. If our attention is preoccupied with non-spiritual affairs, there is not much available for spiritual practice. This is also the basis for the stress of everyday life which challenges many people – they try to focus on some task, but much of their attention is distracted or diminished by other affairs which draw their attention. This could be some other task (if they are multi-tasking), some emotional conflict, or even some unresolved emotional trauma largely buried in the unconscious. If we at least do not over-burden our attention with a load of trivial mundane life tasks, we may begin to unpack the other sources of attention leakage and learn to patch -up these leaks. Of course, the main event this time of year is the Ajahn Chah Memorial Ceremony in mid-January. And this year was an especially memorable occasion, marking the 100 years since his birth. Thus many of the branch monasteries made an extra effort to attend, arriving with a number of monastics and lay-supporters. Since I am normally in Thailand at this time of year, I decided to make the accommodation space at Wat Pah Nanachat available for visitors and only arrived for the last day of the event, January 16th. Besides the official events, there was also time for reconnecting with others from distant places. Generally, my longer term plans are to spend more time in Australia, principally at Wat Buddha Dhamma, north of Sydney. Ajahn Khemavaro has offered to sponsor a two-year work visa for me, so presumably I should be there to work! Hopefully this will include work on my on-going book on 'I-making'. The application for this visa was more complex than first thought. Besides the mandatory health check, I also needed police clearance certificates from Australia, New Zealand and Thailand, due to having for extended periods in those countries. All this necessitated two extra trips to Bangkok (one was just overnight) and then return to PJG. However, it was not in vain and the visa was issued on Feb. 23rd in time to book a flight to Sydney with Ajahn Khemavaro. Wishing you all progress in the practice and a rewarding New Year. Greetings from Thailand, where I arrived some days ago. The Rains Retreat at Hartridge Monastery in Devon flew by very quickly and very peacefully. I was able to settle into my preferred routine of balancing physical, mental and spiritual exercises. 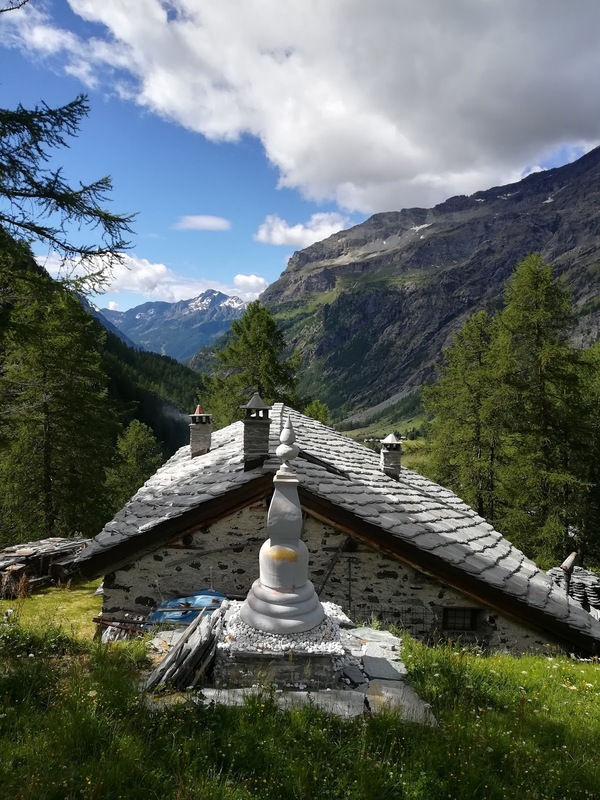 Fortunately, all the Western monasteries are situated in quite exceptional natural environments, suitable for quiet meditation and communing with nature, and with supportive spiritual friendship. 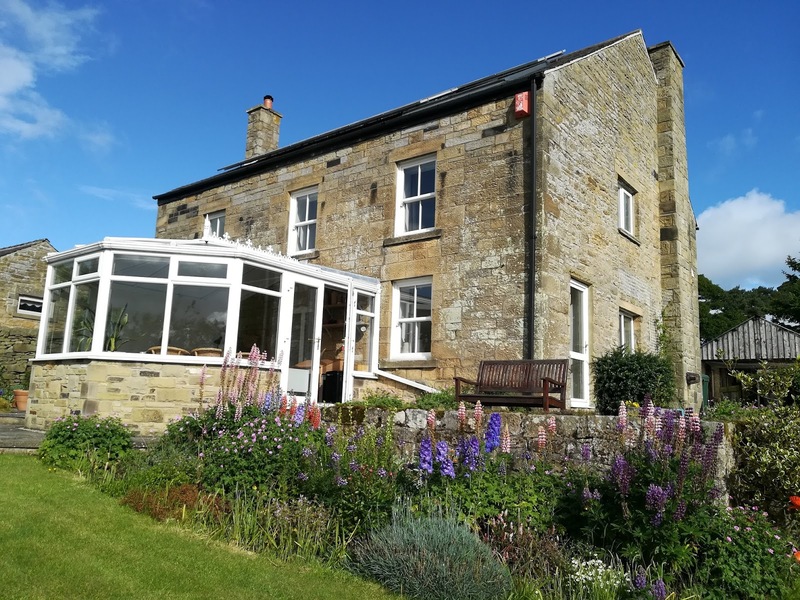 Hartridge Monastery is quite easily accessible for people yet also in a quiet rural environment, surrounded by farmland and near a number of public footpaths. The countryside is criss-crossed by a maze of narrow farm tracks lined with hedges, and in some places with towering, ancient beech and oak trees. One also has the choice whether to stay on the ridges with sweeping views or plunge into the thickly wooded valleys. The choice is often made by the weather conditions – either open, wind-blown ridge or sheltered but damp valley. Unfortunately, my plans to finish the I-making book did not reach completion, although the opportunity for more in-depth reflection was very beneficial and rewarding in itself. In fact the book has increased in size, so much so that I have started to write a second one, a shortened, condensed version, which is also incomplete at this point. However, as I entered another period of travel I had to pack it up for the moment, but hopefully can get back to writing once I have a more settled lifestyle again. The time following the Rains Retreat is a time for visiting, particularly for supporting the annual robe-offering ceremonies held at each monastery. 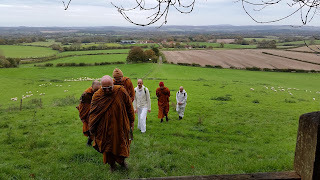 Thus, following the Hartridge ceremony and five-day visit from Ajahn Damrong, Ajahn Sopa and Ajahn Sucitto, I travelled to Harnham Monastery in Northumberland for the Kathina Ceremony on October 15, followed by an Elders Council Meeting. I was then planning to attend the Kathina at Chithurst Monastery in West Sussex, but I was asked to lead a five-day retreat at Amaravati. Ajahn Pasanno was scheduled to lead this retreat, but the forest fires in northern California had affected Abhayagiri Monastery, so he was not able to travel to England as planned. Although the monastery residents were evacuated for a number of days, the monastery was fortunately not damaged. The local town was not so fortunate, with eight of the residents losing their lives and 20 properties destroyed. I thus missed the Chithurst Kathina ceremony, but was able to support the dedicated meditators who very diligently participated in the retreat. I then travelled to Chithurst Monastery for a few days' visit, before catching the flight to Bangkok. Autumn had arrived in England, with yellowing leaves flying in the wind and the temperatures slipping more often into single digits. I was fortunate that most of the days at Chithurst were sunny and dry, allowing numerous walks through the countryside with brilliantly coloured trees. One day was organized as a day-long Sangha walk to the Yew Forest at King's Vale. Since it was somewhat further than I was used to, I joined the group for the first part up to the top of the South Downs hills, where we stopped for lunch. From the highest point we had a faint view of the Isle of Wight and Chichester Cathedral on the south coast. 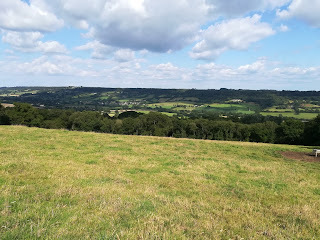 I then made my way back to the monastery along footpaths meandering across the very green fields, criss-crossed with streams of the Rother Valley. My study and meditations on the Buddha's teaching have accentuated the quite radical insight which the Buddha realized. It has become increasingly clear what the Buddha meant when he said that the Dhamma is not easily understood by the average person. To truly understand his teaching requires nothing less than fundamental changes in our usual way of relating to reality. In general I would say that this is two-fold, although the two changes are closely related. The first fundamental change is from an object-oriented approach to reality to a process-oriented approach. This, I would say, is the fundamental insight to which the Buddha awoke – that everything is a process rather than some fixed object. The second fundamental change, following on from the previous one, is from an interpretative mode of relating to an observing mode. That is, instead of depending upon our interpretations of what we apprehend, we should give more precedence to a continuity of observing the on-going flow of impressions. Unfortunately, most of us have trained our minds to quickly interpret what we observe (from assuming that it is a stable object) and then judge, think and react according to the interpretation. And most of the time the interpretation is not complete, accurate or appropriate. That is, if everything is continuously changing processes, when can we conclude that anything is definitely a certain way or a certain form? Of course, merely thinking about these changes of relating is still dwelling in interpretation. Fortunately, though, the Buddha has given specific meditative practices to help facilitate this change. Exercises in focusing attention help to quiet the internal dialogue which is interpreting, or at least give us the possibility to know how much we are interpreting. Developing the exercises in mindfulness encourages us to observe directly the nature of body and mind as they are changing. The very act of mindfulness is observing, and when we observe, what we see is process rather than object. Thus the more we practice the Buddha's teaching, the more we change our out-of-harmony way of relating to reality to one which is more in tune with the way things really are. Wishing you all beneficial and rewarding practice. Greetings from Hartridge Monastery, Devon, England. I arrived here in early July, a few days before the beginning of the Rainy Season Retreat. Since I was in Europe anyway, and as it is uncertain when I will be back to Europe in future, I thought that it would be suitable to spend yet another Rains Retreat in England. I chose Hartridge Monastery because it was the only one of the four British monasteries where I had not previously stayed for any length of time. Ajahn Jutindharo was very open to the idea, and even promised to 'reserve' the 'hermitage hut' at the far end of the property as a suitable location for further intensive work on my on-going book project. I am thus residing in a comfortable hut, surrounded by lush Devon forest, under the usual grey clouds on a mild summer day. The local village of Rawridge as seen from Hartridge. The monastery is located about 30 kilometers east of the cathedral city of Exeter, in an area of outstanding natural beauty called the Black Down Hills. These are actually a series of very flat ridges intersected by deeply-sloping valleys. 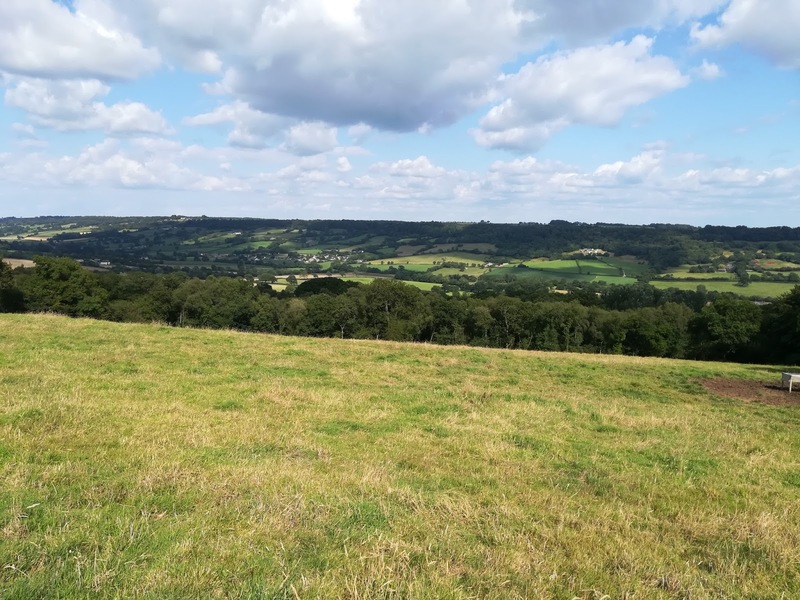 The flat ridges make excellent pasture land, and so are mostly wide, open fields providing panoramic but wind-swept, views across the countryside. The numerous small villages are situated in the sheltered valleys, and various farm houses, barns and hedged pastures are scattered up and down the slopes as far as the eye can see. We are a small community of five monastics – three monks, one novice and one anagarika, plus various long and short term guests. The other monastics have all been resident here, before so I am the only 'incomer'. My third stop in Europe, in early April, was Sumedharama Monastery, Portugal, where I resided for seventeen days. The present 'temporary' monastery is a large rented property, with a four-bedroom, two-storey house providing a meditation hall and library on the ground floor, a guest house and some good-sized gardens. It is situated about forty kms north-west of Lisbon and some four kms from the coastal town of Ericera. The association which is leading the project has already purchased 10 hectares of land nearby, and is in the process of finding contractors to begin the construction of a multi-purpose building complex, with four monastic huts, a meditation hall, kitchen, monks' lodgings, storerooms and numerous toilets and showers. The cost including taxes is estimated at over 1.2 million Euros. When this first of eight phases is complete, the community will move from and give up the rented accommodation which, although adequate, is not suitable as a long-term monastic residence. The Sangha has been resident in Portugal for five years now, has a dedicated community of supporters and has built up a favourable relationship with the local people. One monk walks the 8 km round trip to the market in Ericera for alms-round each day, and almost always returns with a generous donation of food. One morning when I was out for my early walk, a woman spontaneously offered me three bags of buns! During my visit, some of the dedicated supporters living nearby took Ajahn Vajiro and myself for an outing to central Portugal to visit some limestone caverns and ancient dinosaur footprints. Visiting these places certainly puts human beings in their minor place in the universe. For example, the stalagmites (on the ground) in the caverns 'grow' one centimeter in one hundred years from the dripping of calcium-laden rainwater. Thus, one of them near the walkway, 2.2 meters high, has taken 22,000 years to 'grow'. Meanwhile, the dinosaur footprints preserved in sedimentary deposits date from about 145 million years ago! To get some perspective, the dinosaurs survived on planet earth for 165 million years, whereas Homo Sapiens has been around for about 200,000 years (and some people doubt whether we will survive into the next century). April 13 is the Southeast Asian New Year, so a number of Thais living in Portugal took the occasion to come to the monastery and celebrate in the traditional way with offerings, followed by the 'washing of hands' ceremony, symbolizing the washing away of any hurt they may have caused in the course of the year and beginning the New Year afresh. Shortly before my departure for Switzerland I was invited for a visit to the historic town of Sintra, situated around a rocky hill north-west of Lisbon. We first meandered through the botanical gardens of the royal palace high up the slope of the hill to arrive at the highest point, which gave us a panoramic view over sprawling Lisbon city and up and down the western coast. I recognized several trees from New Zealand and the Western Cedar from the Pacific Northwest of North America. Our journey took us westward along the base of the hillside to a former Capuchin monastery (Convento dos Capuchos), with its simple buildings moulded into the surrounding rocks. This order was the most ascetic tradition of Catholic monastics, and the simplicity of the place attests to their ascetic inclinations with tiny, unheated cells, although they were lined with cork for insulation from the chilly winters. The monastery was founded in 1560, but abandoned when all religious orders were abolished by the Portuguese royal family in the 1830's. We then continued on to the most westerly point of continental Europe, called the Cabo da Roca, on a rocky promontory overlooking the crashing waves of the Atlantic Ocean below. This was the point which the early Portuguese sailors were so eager to view, because it signalled their return to home waters, often after years exploring strange and mysterious lands. The Lighthouse of Cabo da Roca. I departed from a balmy 25C Lisbon, and after quite a scenic flight across northern Portugal and Spain, southern France and the foothills of the French Alps, arrived in a cool 10C at Geneva for my visit to Dhammapala Monastery. The unusually cool weather was due to the 'bise', a cold northern breeze. However, one side effect is that the crisp, clear air accentuates the view of the snow-capped mountains – the towering mountains appear to be hovering virtually within arm's reach. Thus the trip up to Kandersteg was a very powerful experience. In the three years since I was there I had forgotten the exceptional, mind-stopping wonder of being surrounded by towering peaks. However, it was not long before the other side of extreme nature was revealed. At the end of April we were buffeted by a three-day blizzard. April snowfall is not, however, a serious danger, and once the sun returned the fields were soon green again, although some of the wild flowers were a bit flattened. On May 14 Dhammapala arranged a Vesakha Puja celebration near Bern. Several hundred Thai supporters and a number of Swiss gathered for the meal offering, my talk in Thai and a very 'cosy' circumambulation inside the hall. One of the Swiss attendees was Ariya Nani, whom I had known many years ago and who subsequently ordained as a nun in Burma. Over the years she became a well-known international meditation teacher, but more recently, due to health and family reasons, she has had to leave the robes, although she is still quite active in teaching. Ajahn Thanissaro, a Thai monk resident at Dhammapala for many months, was booked to lead the annual Thai-language retreat, so I was more free to make my own programme. I visited two of the meditation groups, in Geneva and Bern, attended by quite a few people. On 20 May Ajahn Khemasiri and I travelled to Amaravati Buddhist Monastery for several days of meetings with the International Sangha of Ajahn Chah's monasteries around the world. This major event is only held about every three to four years, as a means of helping to keep the widely-spread Sangha connected. I am quite fortunate in being able to make personal visits to many of the monasteries worldwide, but most of the senior monks are tied down to the duties of looking after their respective communities, with little time for friendly visits elsewhere. This year about 120 monastics from the various continents gathered, and the overall atmosphere was one of exceptional harmony and cooperation. A number of weighty and pressing procedures were quite smoothly agreed upon, and initial structures set up, for example, a standardized process for establishing further branch monasteries. 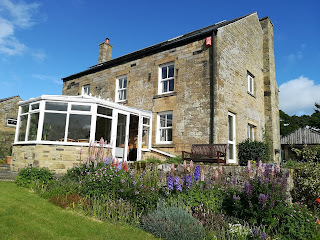 Following the IEM I travelled with Ajahn Munindo to his monastery at Harnham near Newcastle, where I stayed for three weeks. The monastery was recently able to purchase a four-bedroom house about 200 meters down the back-entrance lane. This provides a much-needed extension to the accommodation for the Sangha, especially a comfortable and quiet residence for visiting elders. I had a reasonably peaceful time at Harnham, with one Sunday-night talk, a double-header visit to Edinburgh and Glasgow and leading a seven-day retreat at the monastery's Kusala House retreat centre. 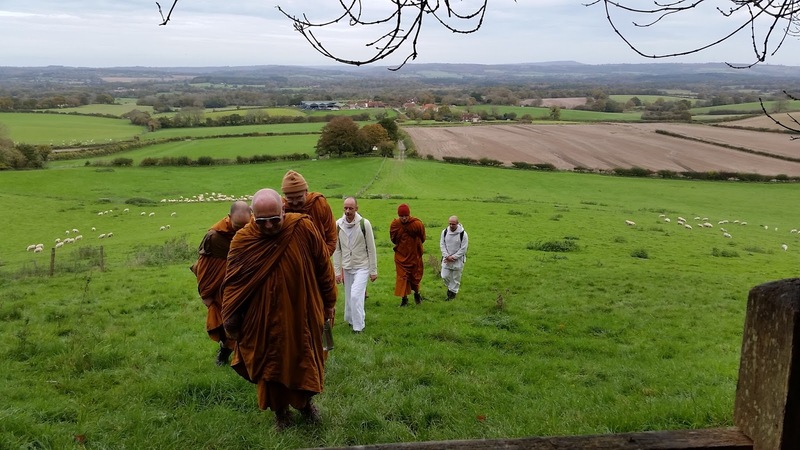 Since many monastics had gathered in England for the IEM, there was also much coming and going of Sangha members passing through Harnham on the way to different places. My travels next took me to visit Paddy and Ger in Aghada, south-east of Cork. They had been working very hard to get the meditation room above the garage in shape for the weekend non-residential retreat. Mid-week they also organised a public talk in the local town of Middleton and it just so happened that Venerable Thanavaro (Hungarian) and Venerable Indapanyo (Irish) were both on hand to give the occasion some 'Sangha weight'. The small, friendly crowd was very responsive and several people signed up for the weekend retreat. Since the two Venerables were beginning a five-day walking tour in rugged West Cork, we all travelled out to a remote peninsula for lunch and an excursion. The 'excursion' turned out to be rather more than we bargained for when we tried to trek directly overland from the rocky coast to the footpath above us. If you have not heard of them before, be warned about Irish bogs! What appears to be smooth, evenly contoured country can easily become waist-deep depressions with sticky mud on the bottom. We must have staggered around a variety of hidden obstacles, zigzagging slowly up the slope for several hours, before stumbling upon the partially-paved walkway. This was a very intimate exposure to Irish trekking, all the time being buffeted by the breezes barrelling in from the Atlantic Ocean and funnelling the cold, clear waters to crash against the seemingly endless stretches of rocky coastline. On our trek we also discovered the remains of a number of 'famine houses', crumbling remains of farms devastated in the Great Potato Famine of the 1840's when nearly one million Irish starved and another million set sail to begin life again in the New World. I finished my trip to Ireland with a well-attended talk in Dublin for the Irish Sangha Trust, and then departed early the next day for Torino, Italy. I had forgotten I was flying at the beginning of the holiday season, with the usual crowds of tourists, full planes and delayed flights. Fortunately, I had quite a long wait at Gatwick Airport for my connecting flight, so the delayed departure from Dublin was not a problem. More troublesome were the crowds of people awaiting flights at Gatwick. After some fifteen hours of journeying from Dublin, I arrived at the spectacular Santaloka Hermitage at an elevation of 2,000 meters in the Italian Alps. Unfortunately, the previous week's hot, dry weather had just been broken by a series of tumultuous thunderstorms, and the morning temperature dropped to 3.3C! However, what a contrast to the rest of Europe – one looks out the windows to endless vistas of towering peaks in all directions. The only sounds are the wind in the trees, the cascading water and the occasional ringing of a cow bell. For the first two days of my stay, Santaloka supporters trekked up to the hut with the meal, but on the third day I ventured the half-hour walk down the mountain to almsfood at the edge of the village. The trek back up the hill is a reasonably gentle but steady climb, and once back at the hut one has worked up a healthy appetite. I arrived on a Wednesday evening and on the Sunday Ajahn Chandapalo joined me after leading a retreat on Lake Garda. The weather was not too cooperative and each of us was nursing a cold, so we only had a few short excursions. However, the day before our departure, Cristian took us both for an outing by cable car up Mt. Blanc, the highest mountain in Europe. We stopped halfway up for lunch and some acclimatizing, and then, as the clouds were lifting, made the last stage to 3,600 meters. Needless to say, climbing the stairs to the observation deck was quite an exercise, but we were rewarded with spectacular views all around and various peaks, including the summit of 4,810 meter Mt. Blanc, appearing and disappearing in the swirling clouds. We continued our cable car journey across the wide glacial plateaus on the French side to Aiguille du Midi at 3,840 meters. 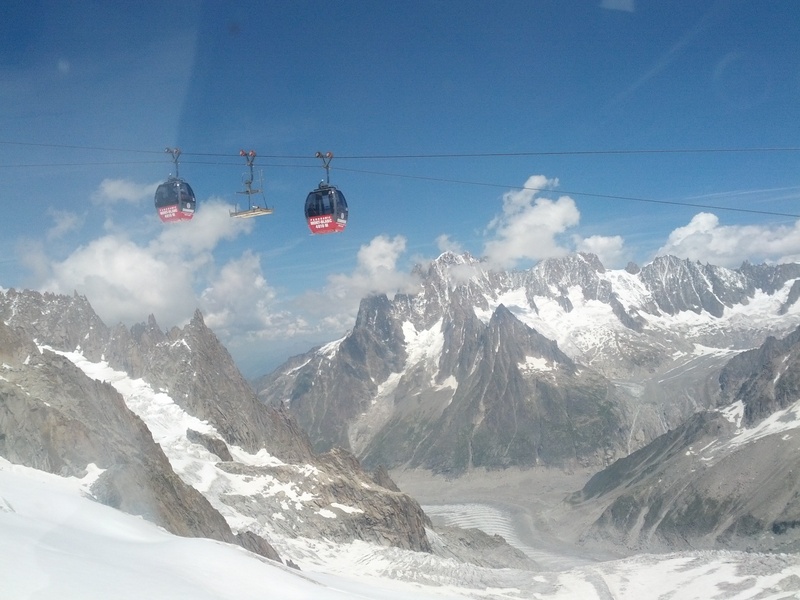 This is an especially scenic route, particularly as the cable car consists of a series of three four-person cabins spread along the cable at distances of about 100 meters. Thus the cable stops every five minutes as the cars are unloaded and re-loaded at each end, and so the five kilometer distance takes about half an hour, with many panoramic stops along the way. My European travels finally wound down, and the following day I started my 13-hour journey to Exeter Airport via Milan and Manchester, arriving only 10 minutes late! Now that I am settled at Hartridge for the next three months with my computer and some interesting books, it remains to be seen how much progress I can make with writing my own next book. Wishing everyone a beneficial and rewarding summer.